Who else is super excited days are finally getting longer and the weather seems to be getting warmer? There's just something about spring... 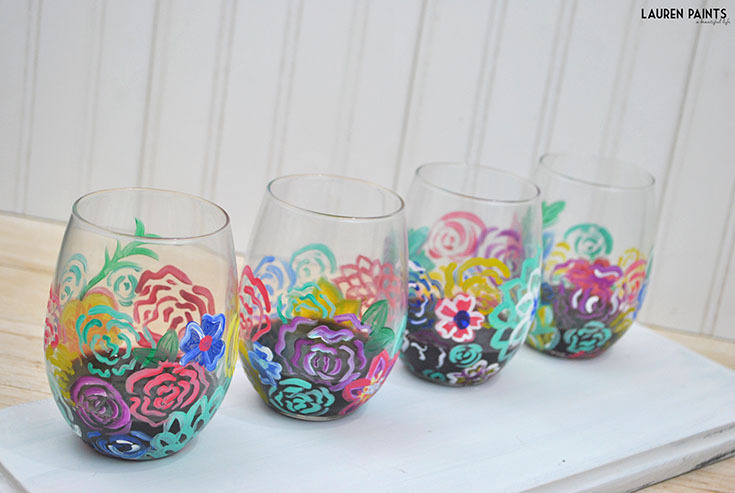 I've always been one to cherish the season, so I made a set of painted wine glasses recently that capture spring perfectly! Covered in colorful flowers and so uniquely mine - I'm so in love with how they turned out, I just have to share a tutorial with you so you can make a set of your own! These little beauties are so easy to make and they are such a fun way to express your creativity! 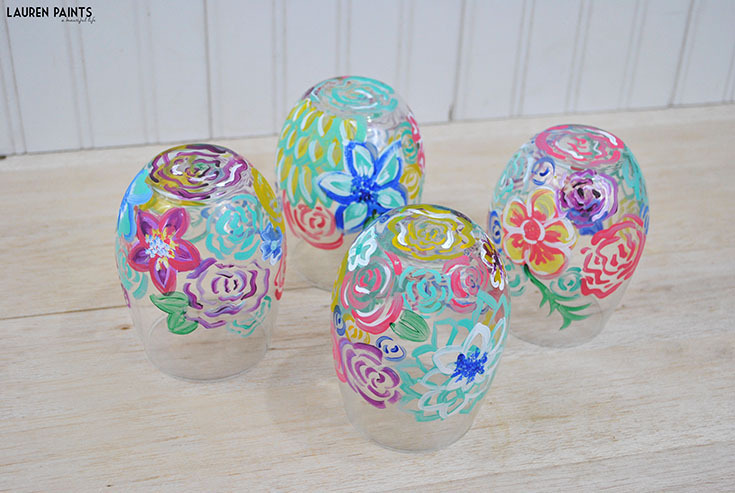 I personalized each glass with a different color flower on the bottom, a fun accent that makes each glass extra special! 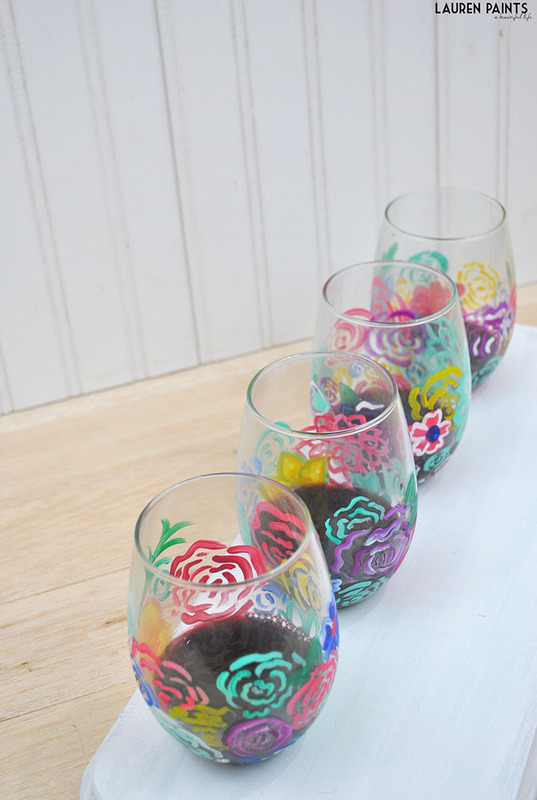 I'm excited to continue making painted wine glasses - I'm even thinking these would make an awesome gift for a newlywed couple, a special treat for mom on mother's day, or even a little present to yourself (everyone should craft pretty little things for themselves)! 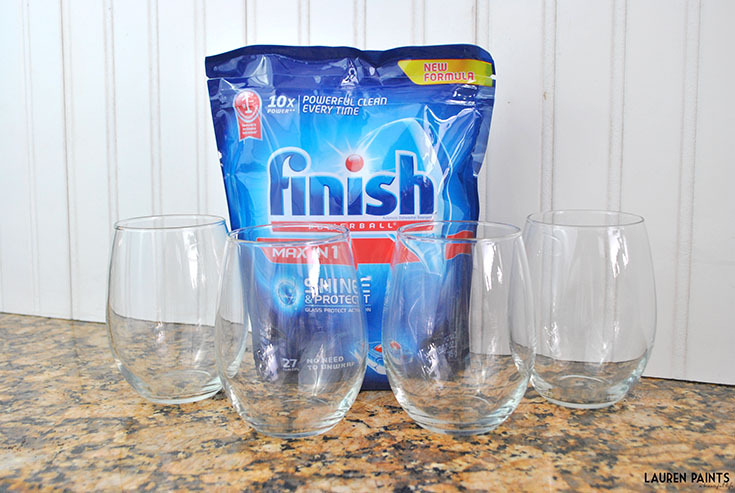 You'll want to pick up a set of 4 stemless wine glasses and a pack of Finish® Max in ONE™ tablets to make sure your glasses are super clean! Plus, you can Save 5% on NEW! Max in ONE™ & Quantum Max™ Small Size with Target's Cartwheel app from 3/29-4/25. Don't forget to grab an extra pack, so you can shine & protect all your glassware! 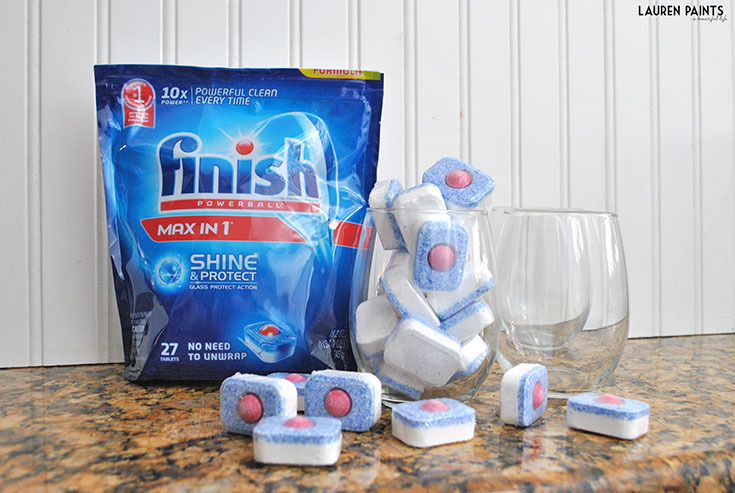 The first and most important step is to wash your glasses with the Finish® Max in ONE™ tablets! They'll be noticeably cleaner and ready for paint after just one quick run through your dishwasher! 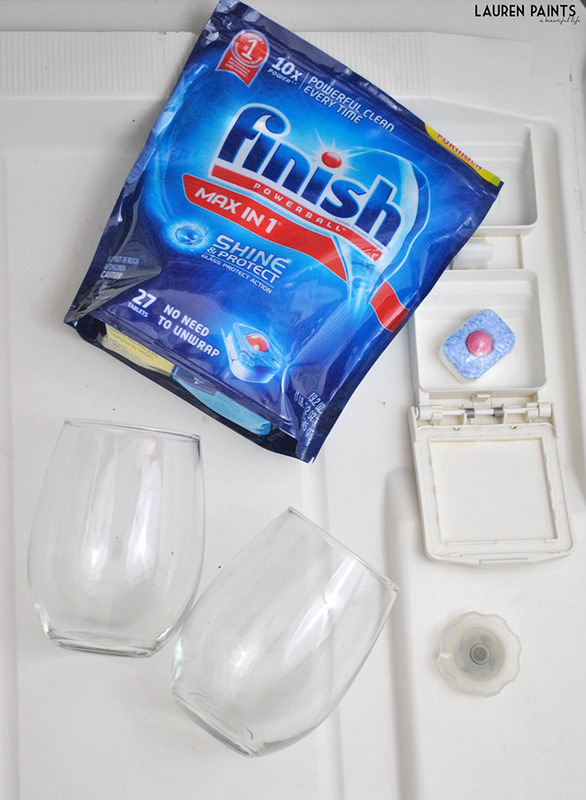 While your glasses are in the dishwasher, you'll want to set up your paint area. 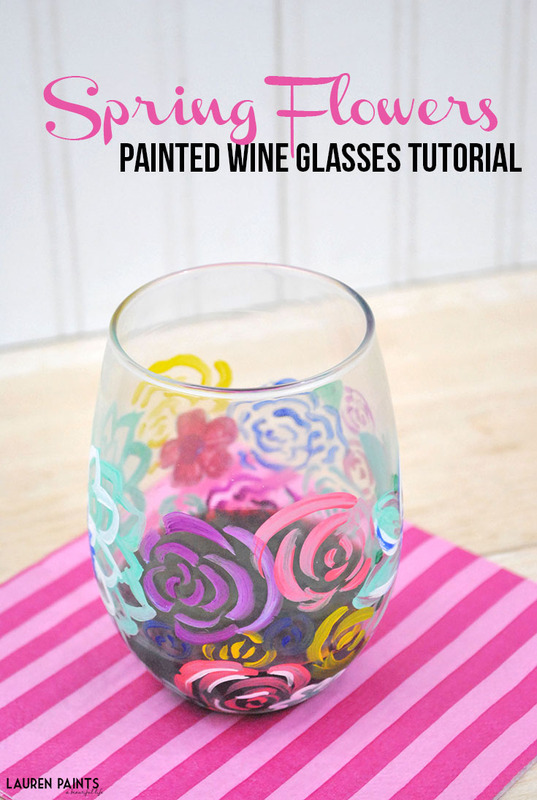 You'll need a handful of different acrylic paints and a varnish to finish your glasses. Most likely, you'll want a few different paint brush options! Don't forget an older cup to rinse the brush in and a palette to keep the paint on. Once you have everything set up, it's time to get crafty. While I'm no expert flower painter, I had fun painting a variety of different flowers on my glasses. I actually practiced my flower painting skills on a canvas so that I could show off how I create all of the different types of flowers, you can copy these styles or create your own! Get creative and go to town on your glasses! Cover the glasses from the bottom to about half-way up the glass, making sure not to paint to the rim (otherwise the paint will wear thin quickly). 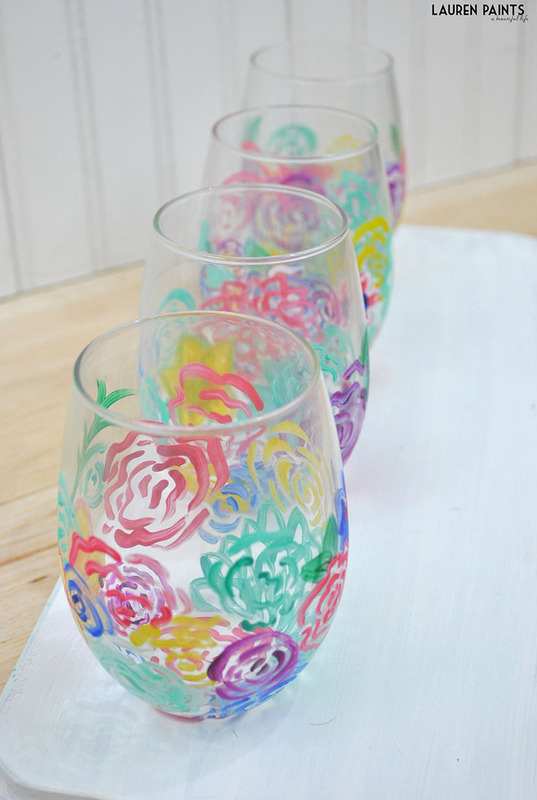 Add flowers until your glasses look absolutely perfect, let the paint dry and then it's time for the finishing touches! 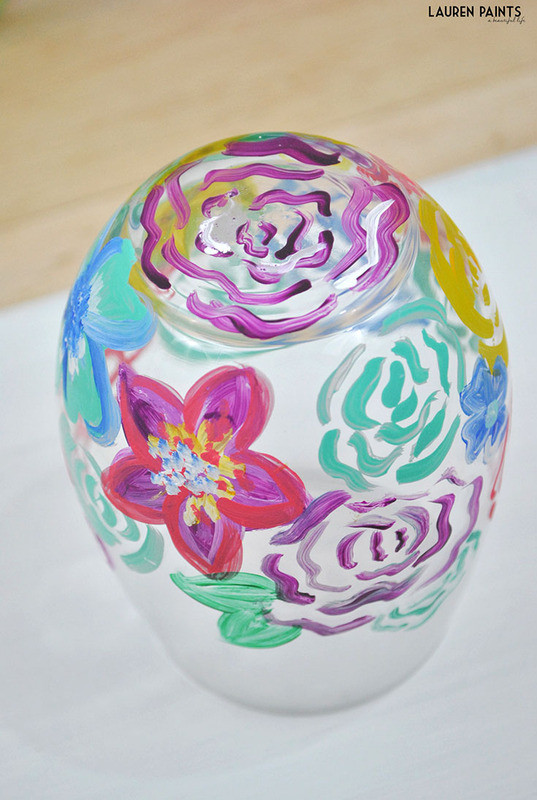 Once the paint has dried, you'll need to varnish each glass. I used a matte varnish and only applied it where I had painted with acrylic (because I learned the hard way if you coat the whole glass you'll likely end up with streaks). I applied two coats of varnish, waiting for the first coat to dry before applying the second coat. Once the varnish has dried completely, it's time to party! Pour win in each glass and invite friends over! While you are sipping your wine with your besties, you'll definitely want to enter this giveaway! 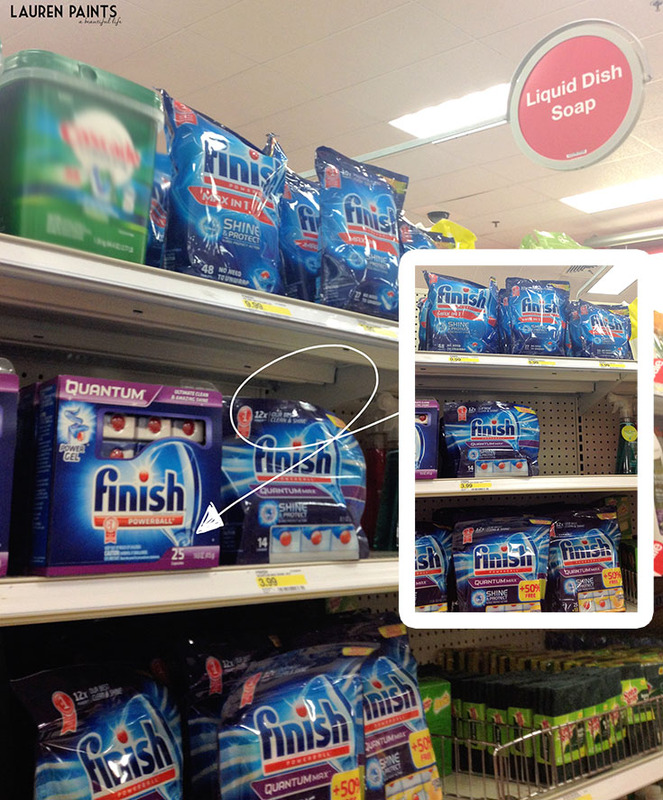 You have the chance to win all kinds of goodies, including gift cards so you can snag some Finish® tablets for yourself next time you make a Target run! After finishing up these glasses, I've decided I want to make a set with gold polka dots and maybe a set with a nautical, beachy design. 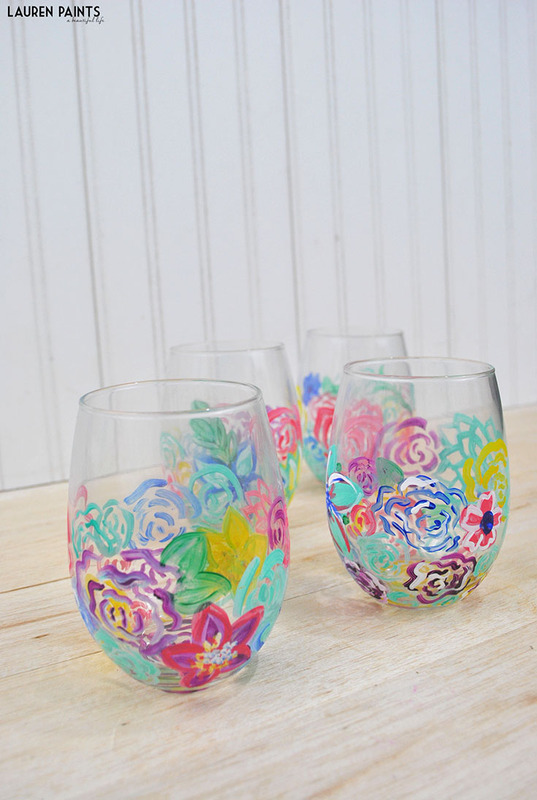 I'd love to hear what designs you think would be fun to paint on wine glasses?